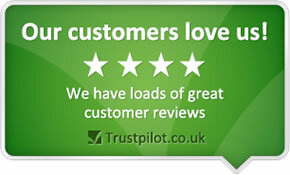 Outstanding service - fast, friendly, respectful and excellent customer service. All staff were friendly, extremely helpful, courteous and a credit to your company. Staff were friendly and informative, explaining what was being done and the process. Seat covers and clean gloves were used before driving the vehicle, which is always appreciated. Staff also remembered me, as I am a high mileage car user, and purchase tyres and tracking approximately every three months. Branch was busy and I had to wait over an hour however, the member of staff was very polite and said he would get to me asap. Polite, helpful and knowledgable. I will return, thank you. The service (tyre valve check/replacement and new tyre fitting) provided by Damien Playell was exemplary: prompt, friendly, informative and efficient. Very quick, very efficient and polite. I have used this branch for many years. quick and efficient service, with a smile.. The ease of website, the price, the service and friendliness of the staff . All were excellent. Staff friendly, efficient, & the work speedily done. Mr Austin & Mr Upson at 27A Bedhampton Road; PO9 3ES. 21/8/17 at 1300. Very quick and polite service. Very clean reception area. Flexibility. First class service received today from Clint and Ben. I will definitely use them again. I was very impressed with the service I received from National Tyres and Autocare Havant. The staff were friendly, helpful & informative. Repairs to the vehicle were made promptly. First Class service from Clint and his team,great advice on tyres and recommendations . Great prices too. Most helpful team, the manager (very tall guy) was really helpful with advice, plus I had some problems with the locking wheel nut and the team were very accomodating. Ben, even gave me a pouch to keep the nut in safe in my glove box. Geoff who dealt with me knew what he was talking about. He showed me the problem and did his best to rectify the problem efficiently and economically. Your staff at Havant / Bedhampton was very polite, they had a answer to every question i asked. The tyre fitter.... I believe his name was Clint Radford needs a pat on the back for doing such a great job on my car. convenience, fast and efficient service and a great price. what more could you ask for. I received superb service,in fact so good I ordered another tyre and came back an hour later for another fitting!!! Cameron West, the fitter ,was really helpful. Couldn't of faulted the service from Cameron West giving me a detailed description of tyre bands and ratings to match my driver needs. Settled on a price and got straight on and done the job. Just what I wanted a friendly service and garage. Highly recommended. I turned up to Kwik fit at 5.40pm and they could not fix it, so I went to National tyres at 5.45pm and they were friendly and had it fixed by 6.00pm. Very good value for money & good customer service. Recognising that there was only two guys working, Jonathon Jackson queried my order abnd got agreement for a newer set of tyres (Avon Zv7 instaed of Zv5). He sorted out my tyres quickly. Good level of customer service. Whilst waiting, I was also impressed in the way he dealt with other customers. When a customer came in adhoc, and he did not have enough time to fit her tyres, he called the Portsmouth Branch and the lady sent there. Really impressed and this is my 3rd return visit. Excellent, prompt service at a reasonable price. My second visit this year! Friendly thorough service, staff very happy to chat with me, watch their work and answer all my questions. A good price. Being upfront with costs. Wasn't told Tyre guarantee was an optional extra. Was given a price and told it included the guarantee. Convenience..a branch both close to where I work and where I live. The service at both has been good and they have choice of tyres on hand. Received fast and efficient service at Havant branch on Saturday 27th February 2016. Good value. Had tyres to fit after ordering. Fitted on time & quickly. Good service, value for money. The branch is near. I've used them before. The staff are polite. They always ring me back as opposed to me chasing them about. Very helpfull staff and a quick service I'll always go there in future and I highly recommend your service. Excellent service from the staff and very helpfull too. Good pricing for a start. The skill and care the technicians showed at the Havant garage was excellent. The helpful polite technician who fitted my tyres went the extra mile. Superb service! Very reasonably priced service, also extra fast job done. Friendly, helpful advice on tyre choice. I was impressed by the quality of service & value for money. All operatives I met with were polite, friendly and informative. I appreciated the all round safety checks and wheel geometry check (and was assured by getting the 'all clear'). This was a very positive purchasing experience - thank you. Always been happy with the service! Seem more trust worthly then quick fit! Ordered tyres on line phoned branch to change fitting date accommodated no problem. Dropped car at branch told 45 mins went back took an extra 10 mins but were adjusting tracking. Nice friendly staff. Web service was really easy to use. Worked out cheaper. Appointment was easily booked. Fast fit & friendly service. After negotiation, good prices, and good prompt service. Jim at Havant is brilliant, but I fear you will promote him and things wont be quite so good after he has gone. Manager & staff at Bedhampton Branch were very good but as there was a ramp out of service they could only do so much to alleviate the delays. Friendly efficient staff - however I think to get "the best Price and offers" from National is confusing and requires a clearer marketing strategy - i.e. some say your prices are cheaper on the internet than branch and vice-versa.I use my AA card for discount but can I get a better price by buying your tyres online?? A very helpfull bunch of chaps.